Summer is a time of relaxation and enjoying the great outdoors! Time for exploring, observing, and lingering with laughter. For summer essentials turn to the vast resources of Etsy up-cycle experts to make this a summer to remember. 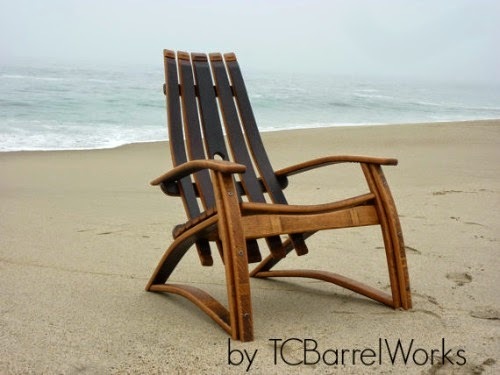 TCBarrelWorks. Made from up-cycled California wine barrels, each chair is expertly hand-crafted. So elegantly simple, nature will envy the owner. 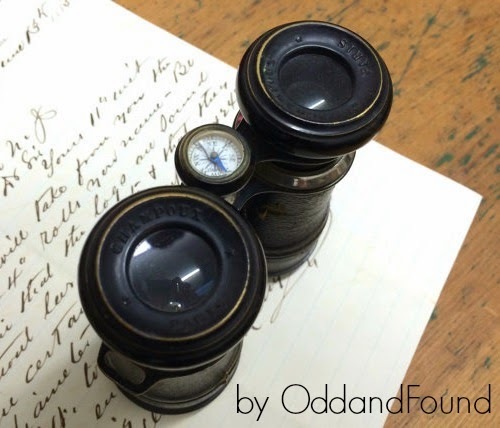 Don't miss a single thing with ultra cool binoculars! From bird watching to fireworks to woodland walking, this vintage pair from OddandFound helps maintain the path with a built-in compass. Turn routine summer lunch into a backyard expedition! Classic peanut butter and jelly tastes like fun on vintage trays in rainbow hues. 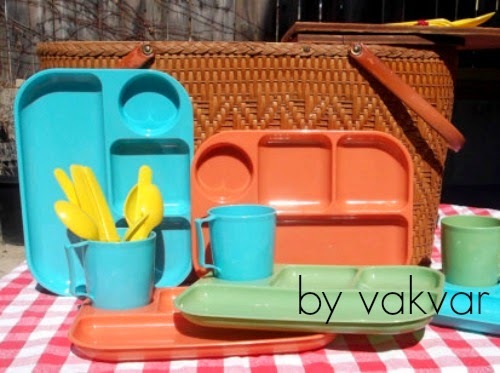 Pick up this colorful picnic basket and tray set at vakvar. Summer learning can be fun with the right tools! 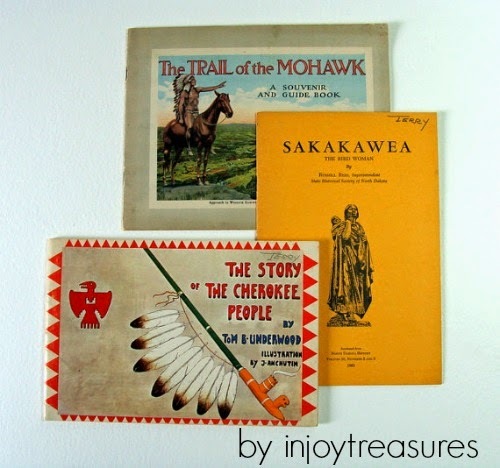 Grab these vintage Native American books at injoytreasures at take the kiddos on an educational hike. Teach them about recycling after the hike by up-cycling the books into summer scrapbooks. 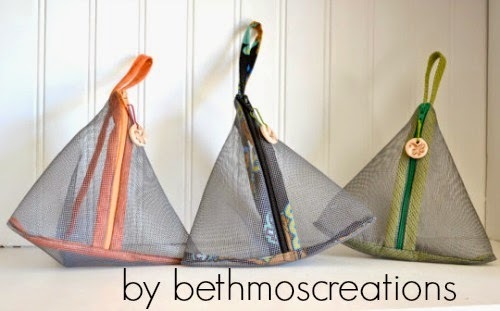 Fun for kids of all ages are these wee bug collection bags from bethmoscreations! Okay, okay.... these are not up-cycled or vintage but oh my goodness are they cute! Affordable and oh-so-adorable, they even look like tiny camper tents! For more up-cycled summer wonder search recycled summer on Etsy.